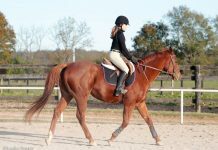 Of course you should always ride your horse in the bit that lets him perform at his best. And you must be in control of your horse for that to happen. 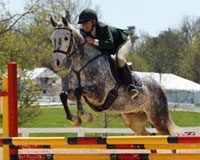 But while pelhams are common in equitation and medal classes where precision and boldness are rewarded, many judges believe that a show hunter, especially one ridden by a child or an amateur, should be able to jump his course in a snaffle. A snaffle gives the impression that a hunter has a soft mouth and a compliant disposition. True, it may all be an illusion, as the actual mouthpiece of a snaffle bit can range from soft rubber to double twisted wire. Yet in a division where manners are emphasized, the appearance of a kindly nature is important. So whenever possible, reach for some sort of snaffle when tacking up your hunter. I use a full cheek snaffle for my hunter. I ride my Appendix QH in a French link D ring and I ride my Thoroughbred in a French Link D with copper rollers. These are both versatile bits but they are appropriate for most events. I ride in a Dr. Bristol 3 piece bit. Its a full cheek. My horse really likes it. He also makes a lot of saliva.